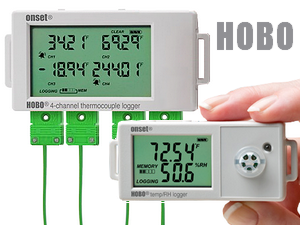 We offer Onset’s HOBO range of data loggers for recording temperature and relative humidity, using built-in or external fixed sensors or plug-in thermocouples. 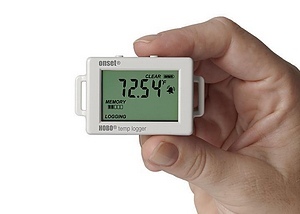 Each logger has a built-in LCD displaying the current measured value while previous values are stored in its internal memory and can be downloaded to a computer via USB. Once on the computer, the data can be viewed and analysed in the HOBOware software or exported to Excel. 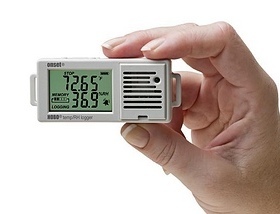 The loggers are powered by a battery that typically lasts a year and can be sourced and replaced easily by the user. All data is retained if the battery runs out and during its replacement. These small standalone data loggers offer a low cost alternative to large recorders and data acquisition systems for applications where high accuracy and remote viewing of live data aren’t a necessity. 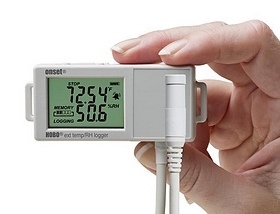 As a UKAS (ISO 17025) accredited calibration laboratory TMS Europe can supply these loggers complete with calibration of temperature and, where applicable, humidity. 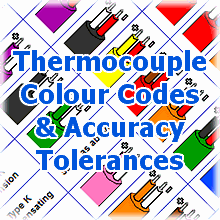 The models with thermocouple inputs are very versatile, as we can supply an ever growing range of common thermocouples from stock or manufacture thermocouples to your requirements. 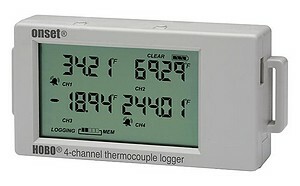 They also make good fridge/freezer thermometer data loggers, with long battery life and data storage and their magnetic backs making mounting and removing simple. 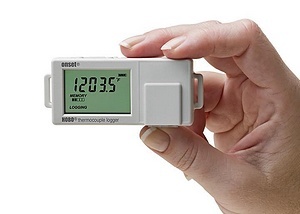 We also offer a range of data loggers to record 4-20mA loop signals, low voltage signals, events, power/energy use, light/motor on/off, gauge/differential pressure and water flow. 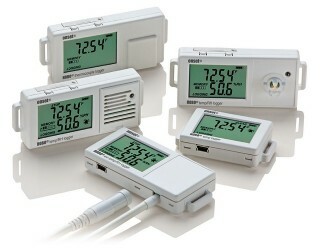 A range of these data loggers can be ordered on our Webshop, along with thermocouples where applicable.